As a journalist, I have been disgusted, but not surprised at the treatment of WikiLeaks scandals by America&apos;s press corps. Listening to them rail on Assange and his organization, one would have thought he had created an Al Qaeda website where plans to attack American were published on a daily basis. According to America&apos;s journalists, power isn&apos;t to be questioned, but courted. While the press works itself into a frenzy over the mind numbingly silly issue regarding Obama&apos;s orgin of birth, it ignores serious issues like illegal drone killings in Yemen, torture, and spying on UN officials on the grounds they might compromise &apos;national security&apos;. 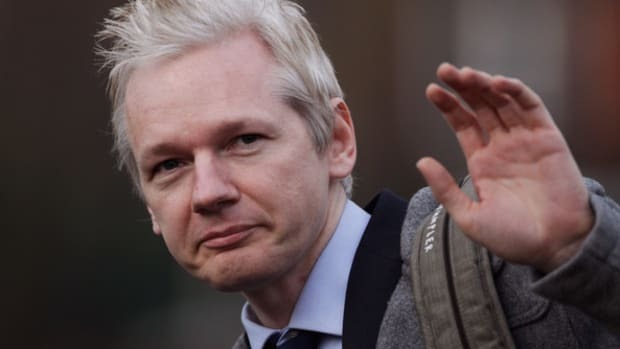 From the start of the WikiLeaks controversy, the most striking aspect for me has been that the ones who are leading the crusade against the transparency brought about by WikiLeaks -- the ones most enraged about the leaks and the subversion of government secrecy -- have been . . . America&apos;s intrepid Watchdog journalists. What illustrates how warped our political and media culture is as potently as that? It just never seems to dawn on them -- even when you explain it -- that the transparency and undermining of the secrecy regime against which they are angrily railing is supposed to be . . . what they do. Journalists are supposed to keep government and corporate power in check - but when corporations own the press (and the government) the results are hardly shocking. Organizations like CNN, the NY Times, MSNBC, Fox, are all beholden to their advertisers and share holders. If their journalists question political or corporate power too closely, advertisers will threaten to pull their money. Coca Cola and Scott&apos;s Fertilizer don&apos;t want to be seen as &apos;unAmerican&apos;, and they only associate their product with patriot safe journalism. You don&apos;t got to work for the main stream press if you want to seriously upset the apple cart. Modern journalists know what they are and are not allowed to report on, and they rarely deviate from the script. The lack of support for WikiLeaks in the main stream media is further evidence that is serves absolutely no purpose other than frivolous entertainment. And we should ignore their screeching on serious matters because there are now other organizations do their job properly.